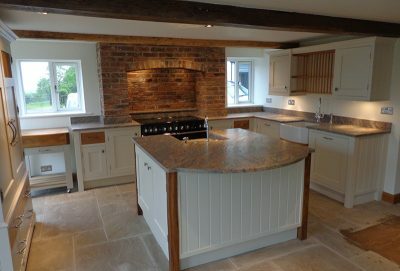 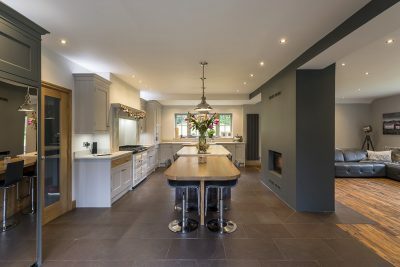 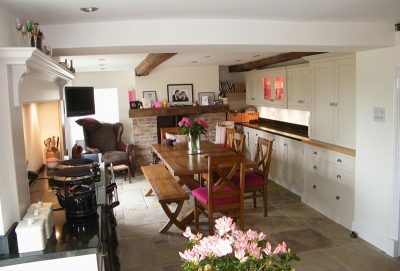 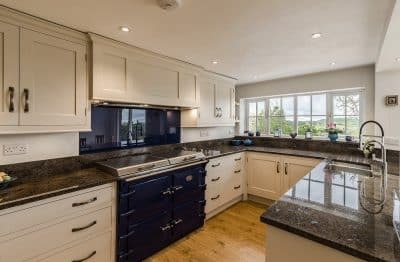 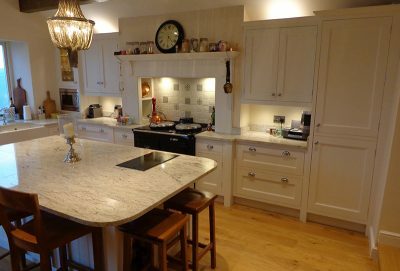 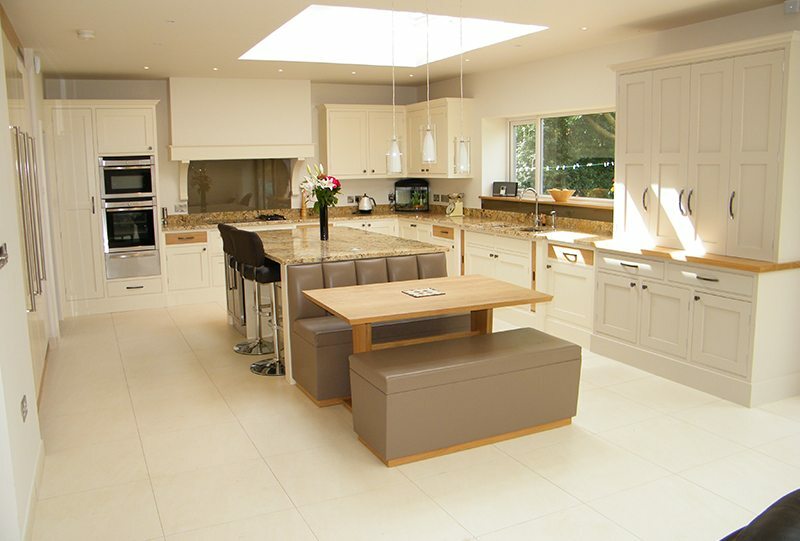 Classic hand painted shaker cabinets with modern high gloss fridge freezer housing and larder. 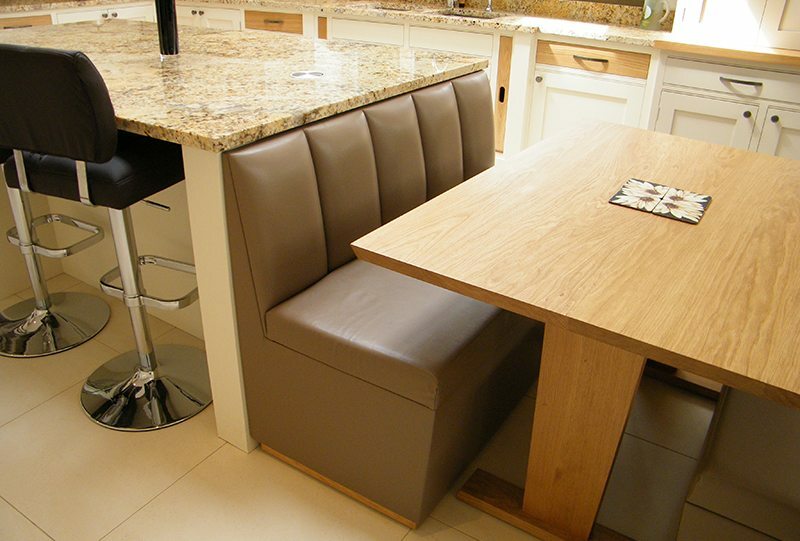 Bespoke leather bench and dining integrated with island. 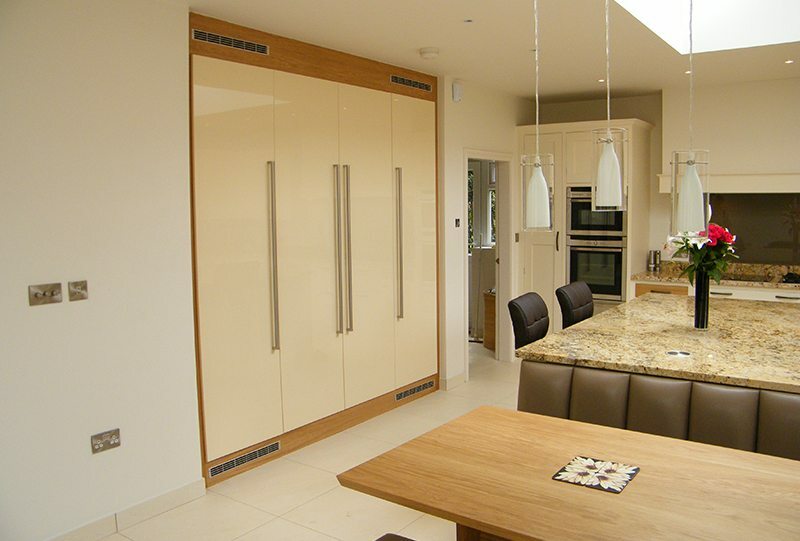 Custom matched glass splash backs.